We've pieced together every bit of information about Metal Gear Survive, from the debut announcement trailer all the way to the gameplay reveal. Find out when the Metal Gear Survive Beta starts and finishes. Metal Gear Survive is out now around the world, and we've rounded up all you need to know about the brand new stealth-action game, including our Metal Gear Survive review impressions. In this Metal Gear Survive guide, we'll be giving you all the details on the Metal Gear Survive beta dates, as well as any additional information that Konami releases about the online and single player portions of the game. Metal Gear Survive might only just be out in the wild, but we've already spent countless hours with the game during the beta phase. If you need a guide on how to get started with Metal Gear Survive, head over to our Metal Gear Survive tips guide. Elsewhere on USgamer, reviews writer Mike Williams has already had a stab at Metal Gear Survive, saying that while it's not a bad game, it's certainly no Metal Gear game. For our complete review in-progress, which will be finalized over the coming days, head over to our Metal Gear Survive review. Over on Eurogamer - our sister site - Martin Robinson had praise for the game, writing "Metal Gear's first post-Kojima outing plays fast and loose with the formula, with results that are equal parts brilliant and baffling." In the very first trailer from Konami announcing Metal Gear Survive back in August 2016, the release date of 2017 was revealed. However, this release window was never expanded upon, and Konami recently confirmed to Polygon that Metal Gear Survive has been delayed to early 2018. The decision to delay Metal Gear Survive was made in order to give the development team more time to polish the game. After this first delay, the official Metal Gear twitter account then revealed that Metal Gear Survive would be releasing on February 20, 2018 in the US, and a few days later on February 22 in Europe. Around the same time as the new release date announcement, the Metal Gear twitter account revealed the Metal Gear Survive Co-op Staging Area for the game, revealing that this would be a new area where you and your friends could test out new abilities and weapons, before heading into battle with your favorite gear. In the series of tweets just below, the official Metal Gear twitter account revealed a few new details about Metal Gear Survive, namely that you can play through the entire game in single player, and have your save data transfer over to co-op whenever you switch between the two. The Metal Gear account further expanded on the Base Camps in the game in the few tweets just below, explaining that you can build up your Base Camp to gain access to better weapons and gear. The final detail revealed here bears a striking resemblance to the animal habitat function of Mother Base in Metal Gear Solid V. These are all the new details that Konami had to reveal about Metal Gear Survive at Gamescom 2017 in August. Later on in December, we got some additional concrete details on the Metal Gear Survive single player campaign, which were revealed through the developer documentary-style video that you can see just below. The story begins with the destruction of Mother Base in Metal Gear Solid 5: Ground Zeroes, but our protagonist is sucked through a wormhole into another dimension. Six months later, a character is sent through the wormhole by a mysterious organisation. You'll have to scavenge around for basically all your supplies when you first reach the camp near the wreckage of Mother Base, taking down animals anf bolstering your defences. To reach the main base camp, you'll need to have built an oxygen tank, in order to get your player character through the poisonous fog that enshrouds the base. You'll need to embark on missions of all kinds out into the wilds, if you want to build up a solid amount of resources. The story progresses by clearing main missions, but you can also take on side missions, where you might encounter other characters from the Metal Gear Solid universe that have also been transported to this dimension. In early January 2018, IGN posted the video just below, showing off the very beginning of the single player story mode for Metal Gear Survive, which appears to contradict what's been shown previously. Whereas before we had our soldier being immediately sucked through a wormhole as Big Boss and Kaz Miller leave Mother Base, this time a new, unknown character appears to use your deceased body for work in the alternate dimension. The rest of the gameplay video shows your player character meeting others that appear to have been stranded in the alternate dimension, all with the end goal of getting back home. How the opening cutscene ties into all this is a bit of a mystery, and we'll have to wait and see to find out more. At a press event in January, 2018, we got a chance to play Metal Gear Survive ahead of its full release in February. While we still have some concerns, this might be the survival game you've been waiting for since Metal Gear Solid 3. We went hands-on with Metal Gear Survive at E3 2017, and came away from our session feeling entirely underwhelmed. We were only allowed to play the co-op horde mode, where we had to defend a wormhole generator from three waves of zombies, using precious little resources. There were a variety of pre-made characters, all with different abilities like increased melee attack damage, but what we played ultimately felt like an undercooked PC mod, and not a new entry into a major franchise. 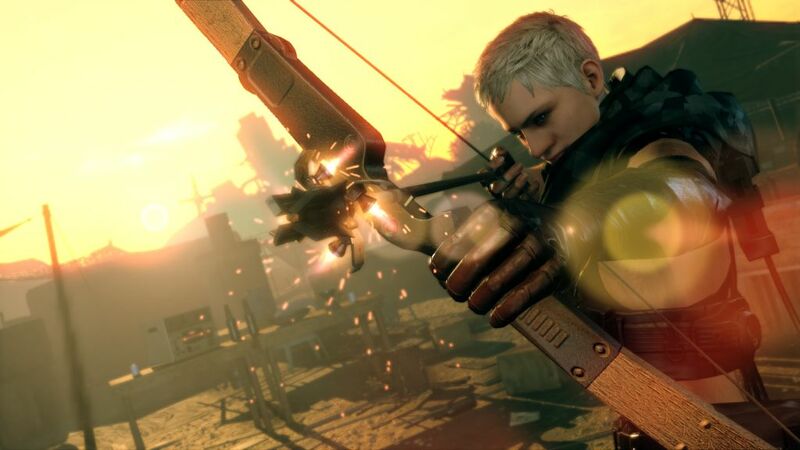 Konami have stated that there are still plans for a single player mode in the final build of Metal Gear Survive, but the main horde mode makes for a short and forgettable game. How Much Will Metal Gear Survive Cost? Right around the time that Metal Gear Survive was first announced to the world at Gamescom 2016, Konami revealed that the game wouldn't carry the standard console price tag of $60, instead retailing for less. This is similar to Metal Gear Solid V: Ground Zeroes, the prologue to Metal Gear Solid V: The Phantom Pain, which was released at a price point of $40 on PC and consoles. When is Metal Gear Survive Set? Given that the plot is traditionally of paramount importance in Metal Gear games, it was somewhat of a surprise to learn that Metal Gear Survive features none of the characters of the series, instead featuring a brand new cast of Mother Base soldiers. Metal Gear Survive begins as Big Boss and Kaz Miller depart from the exploding Mother Base in Metal Gear Solid V: Ground Zeroes, leaving stranded soldiers behind. Those that remain are sucked through a wormhole, along with the wreckage of the base, to an alternate reality, where the group will have to fight zombie-like creatures in order to make it home. At the Tokyo Games Show 2016, Konami debuted the first gameplay demo for Metal Gear Survive, giving audiences a look at the minute-to-minute action of the game. The gameplay reveal was just over 15 minutes long, and pitted four players against multiple waves of zombie-like creatures. All four of the characters could be seen performing emotes to one another at the beginning of the gameplay demo, and it was also revealed that characters would be customisable in the game, as these four characters were distinctly different from those that we saw in the announcement trailer for Metal Gear Survive. Stealth abilities were first shown off in the reveal, as the player distracted two creatures with a lure, and then stabbed them in the back, quietly taking them both out. It was in this sequence that the Fulton mechanic made an appearance, confirming that the mechanic would return from its debut appearance in Metal Gear Solid V: The Phantom Pain. We also got a glimpse at the UI that would feature in the game, as another version of the I-Droid in Metal Gear Solid V was shown in the gameplay reveal. On top of this, a weight limit could be seen in the bottom right corner of the I-Droid UI, suggesting players would have to actively manage their inventory in Metal Gear Survive. The entire gameplay reveal at the Tokyo Games Show 2016 finished with the group of stranded soldiers defending their makeshift base against a horde of zombies, which arrived in waves that gradually got larger. The focus of the game was to keep the zombies away from the Transmitter in the middle of the base, which the group ultimately failed in. At the end of the first announcement trailer for Metal Gear Survive, a very distinct noise can be heard, as something casts a large shadow over the four characters depicted. Some have speculated that this may be a Metal Gear, possibly even Metal Gear Rex, the gigantic bipedal mech that was first seen in Metal Gear Solid, and then seen again in Metal Gear Solid IV: Guns of the Patriots. Boss battles have been confirmed as part of Metal Gear Survive by Konami, but whether we see any Metal Gear weapons themselves remain to be seen. Throughout the aforementioned gameplay demo of Metal Gear Survive at the Tokyo Games Show 2016, all four characters could be seen using a variety of different weapons and items in order to combat the zombie horde. A spear was used prominently be one character in the demo, while another used a bow to snipe zombies from afar. Molotov cocktails were also seen in action, while the Fulton mechanic could be used to lure zombies to a specific location, making them an easy target while distracted by the airlift. A powerful turret was also used on a crowd of zombies, mowing down a number of them at once, while one player went round installing barriers around the makeshift base, in an attempt to keep the zombies at bay for a while, buying the defenders some critical time. Tagged with Guides,	Konami,	Survival. Metal Gear Survive is a Flop, So Now What?